Sports and games play an important role in the development of a person. 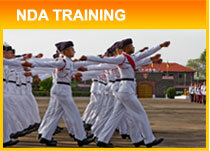 They develop true spirit of sportsmanship and sense of camaraderie amongst the cadets and also give an opportunity to students to exhibit extraordinary talents and techniques. A healthy mind resides in a healthy body. Sports help in removing boredom and keep the cadets fit. It instills a sense of discipline and confidence in them. The world is a big playground. Life is a game and we are the players. Games teach us how to play successfully, the game of life. In order to fight the grain battle of life, we need physical stamina. The duke of Wellington once said, “the battle of waterloo was won on the play field of "Harrow and Eton”. The spirit of discipline, Comradeship and fare play all these qualities are the control of sportsmanship and they ensure success on the play field or battlefield of life. What matter in sports is not victory or defeat but how you played the game. This is what we call sportsmanship. It is the most desirable quality in students. The spirit of sports separate the excellence, from the mediocre. The grain from the chaff. It generates the quality that needs to be imbibed by everyone, whether a player or a normal human being. The Sainik Schools provides maximum opportunities for the cadets to participate in games in the following categories. The games are divided into major and minor events. Major Events: Football, Hockey, Volleyball, Basketball, Handball and Athletics. Minor Events: Table-Tennis, squash, Badminton, Lawn Tennis, Mass, P.T, etc. Sainik school Sujanpur Tira also participates in North Zone Inter Sainik Schools Sports Festival and in Inter Zonal Sports competition. S.S.S.T. also participates in Indian Public Schools Meet. Inter House matches, athletics, PT, cross country etc are conducted to develop the sportsmanship spirit, moral & character building, and make the cadets mentally and physically strong. The school has various indoor and outdoor faclities for the cadets to make them mentally and physically tough. The following number of grounds / equipments have been provided to promote sports and games. 3. Chess & Carom Board in each dormitory. The North Zone Inter Sainik Schools Sports Festival 2017 was held at Sainik School Ghorakhal(Uttrakhand) from 31 May to 05 June 2017. Sainik School Kunjpura were Overall Champions in the North Zone competition. In Football Jrs, Sainik School Sujanpur Tira were Runners Up. Our school bagged second in Cultural Competition. In English and Hindi Debate, SSST stood second and third respectively. 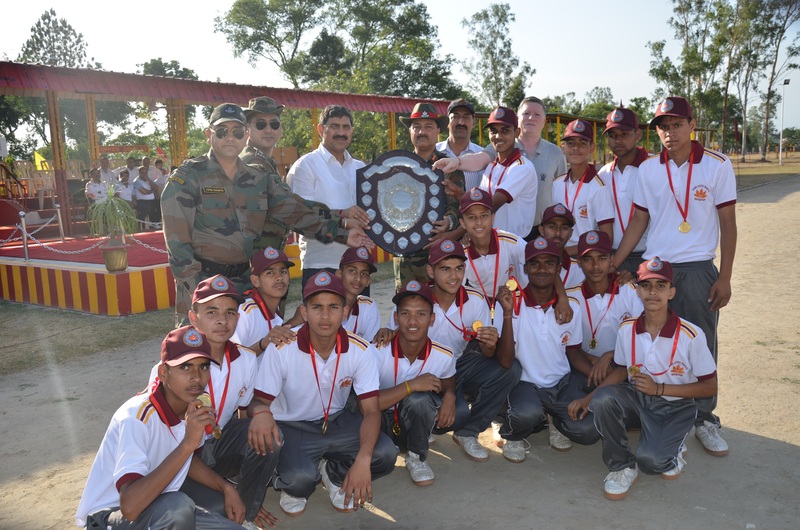 Sainik School Sujanpur Tira was awarded the "Fair Play Trophy" in the North Zone. In Yol Cantt, a friendly match was held between Army School Yol Cantt and SSST in Football, in which SSST won the match by a margin of 4-0.